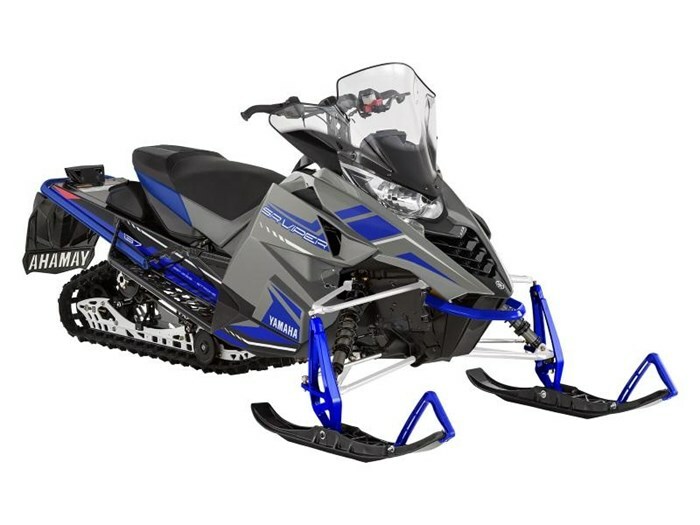 DEMO 2018 Yamaha SRViper L-TX DX CONQUER SNOW A long track offers no shortage of agility and response. Paired with the Genesis 4-stroke power and added comforts like a medium windshield and heated seat, the SRViper L-TX DX comes fully loaded and ready to take you to your destination and back. STANDARD MID-HEIGHT WIND DEFLECTOR Offers premium wind protection Flared edges direct wind away from hands Sleek design YAMAHA GENESIS 1049CC HIGH PERFORMANCE ENGINE 3-cylinder Yamaha Genesis engine Closed-loop fuel injection system Instant throttle response PLUSH HEATED TRAIL SEAT Hi density foam Easily transition from seated to standing position with great side-to-side mobility Gripped surface Features may include: PERFORMANCE YVXC Clutching Featuring Yamaha drive and driven clutching, the YVXC system delivers smooth engagement, instant acceleration, fast reacting backshift, and cool operating temperatures for a long belt life. The YVXC clutch system delivers Yamaha's hallmark smooth power delivery, responsive engine feel and unmatched quality. Rip Saw II Track Regarded as the best high-performance terrain track available, the 1.25-inch lug design of the RipSaw II delivers incredible acceleration, braking control, and handling in a wide variety of conditions. HANDLING Lightweight SRV Front Suspension The over-structure design of the SRV chassis creates a rigid mounting point for the unique 30-degree swept design of the SRV front suspension. The "angled" mounting design directs impacts back to the strongest points of the chassis, creating a more stable and predictable ride. Tall, lightweight forged spindles help to deliver an incredibly strong front suspension with controlled camber geometry for stability and light steering effort. SRV Chassis Sophisticated aluminum extrusions are joined with precision castings to create an incredibly strong, lightweight and rider intuitive chassis. The over-structure design provides rigidity and is designed to disperse severe impacts throughout the chassis making it exceptionally resilient.